Asus have a long history of releasing multiple laptops with similar traits and as a result, most potential buyers have a hard time setting them apart. 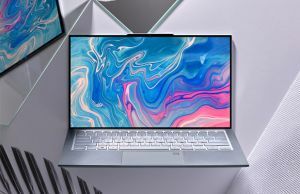 In this post we’re going to address the Zenbook lines of mid-range compact 14-inch laptops that include the UX410UA/UX 410UQ models, the UX3410UA/UX3410UQs and the UX430UA/ UX430UQs. These are all laptops with the width and height of a regular 13-inch ultraportable, but Asus decided to equip them with a larger screen, which results in a narrower bezel. There’s another Zenbook with similar traits, the UX490UA, but we’ll talk about this premium option in another article. The narrow bezel screen was made popular back in early 2015 by the Dell XPS 13 9343 and was later adopted by other manufacturers as well. It’s an approach that makes a lot of sense, as it gives users a larger screen while keeping the overall size of the laptop compact. 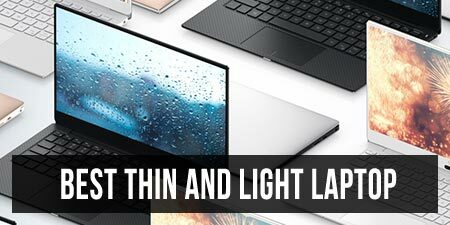 Our article offers a full specs sheet of these laptops, then will take you through what they have in common and in the second part we’ll talk about each model’s own particularities. Before we proceed, there are two things I have to add here. First of all, these laptops are built on similar hardware platforms, and as with most Zenbook lines, are each available in two versions: one that only gets Intel HD graphics, ending in UA (ex: UX410UA) and another that also gets Nvidia GT 940MX graphics, ending in UQ (ex: UX410UQ). In the US and Europe the UAs tend to be the entry level options and usually available with Core i5 processors, a smaller SSD and less RAM, while the UQs tend to get Core i7 configurations and better specs. But this is not a rule, so there might be different configurations in some regions. Second, as far as I can tell, the UX410 and UX3410 lines are actually identical, yet for reasons unknown to me Asus decide to sell them under different names in some countries. For instance, the UX3410s are available in Germany right now, while the rest of Europe gets the same products as UX410s. With those out of the way, you’ll quickly notice from the specs sheet that these lines have much in common. They’re the same width and length, for one, albeit the UX430s are thinner. 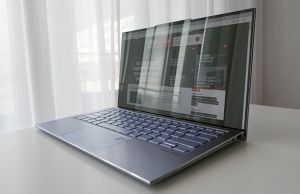 They also pack the same matte 14-inch IPS screens, backlit keyboards and trackpads with fingerprint readers, which are all up-to-par with what one should expect from a 2017 ultraportable, as you can tell from our detailed review of the Zenbook UX430 series. You can also find our detailed review of the UX410UQ line over here. Update: While it might seem that the keyboards on the two are the same, they actually provide different typing experiences. The UX430 gets short stroke keys with nicer feedback, while the UX410 gets deeper strokes, but the overall feedback is a little mushier. See the reviews for details. These Zenbooks are also built on the same hardware platforms: Intel Kaby Lake Core U (i3-7100U, i5-7200U and i7-7500U) processors, Nvidia GT 940MX graphics (on the UQ models), up to 16 GB of DDR4 memory and SSD storage. But their inner architecture differs in a few ways, which leads to the next part of this article. The Zenbook UX430s are thinner and lighter than the UX410s, and that’s what leads to all the aspects that set these series apart. On the inside, the UX410s offer a RAM DIMM and two types of storage options, an M.2 SATA right near the battery and a 2.5″ bay. The UX430s on the other hand require a larger cooling fan and wider heatpipe, so the RAM is soldered and there’s only enough space for the M.2 SATA storage slot. In other words, you can upgrade the RAM on the UX410 and UX3410 lines, but you can’t on the UX430s, plus you can add a 2.5″ HDD/SSD in these former models for extra storage space, while on the UX430s you’d have to rely solely on M.2 storage. One other side effect of the thinner profile is the fact that the UX430s run hotter than the UX410s with demanding loads, but even so both are perfectly fine with daily activities, where they can be comfortably use on the lap. On the other hand, users would have to make due with their aggressive fans, which tend to spin all the time and never quiet down, not even with the most basic tasks. Other laptops are able to run passively while light browsing or editing documents, but these Zenbooks cannot and that is unfortunately a common flaw of all the Zenbooks I’ve reviewed recently. The good news is Asus did not sacrifice the battery on the UX430s, which actually get a 50 Wh battery, as opposed to the 48 Wh battery on the other models. The bad news is they did have to sacrifice the IO on the UX430s to some extent, again due to the thinner profile: there’s one less USB 3.0 port and only micro-HDMI for video output. The build is the other major aspect that sets these lines apart. The UX410s and UX3410s are entirely made out of aluminum sheets, with a plastic inner frame. The interior is solid and gets a matte finishing, while the lid-cover gets a brushed metal texture, but due to the piece of metal used for the hood being thin, it shows a fair amount of flex. That’s not unexpected from a mid-range ultraportable these days though. BTW, the UX410s are available in two colors: Quartz Grey or Rose Gold. The UX430s are a little thinner and as a result, their main deck is sturdier. You should be however careful about the lid as well, as Asus offers the UX430s in two variants: one with a standard brushed aluminum finishing (the Quartz Gray and Shimmer Gold colors), yet a little stronger than on the UX410s, and another with a NIL coating (the Royal Blue and Rose Gold colors). NIL means nano-imprinting lithography and is a glossy surface that feels and looks like glass, but is more durable and less prone to shock damage. These NIL coated variants are however flexible, as you can read in our review, so I’d treat them with care. One final aspect, while the keyboards might seem identical on these two, in reality the keys on the UX410s have a slightly deeper stroke (1.6 mm vs 1.4 mm on the UX430). Despite that, personally I’m a big fan of the keyboard on the UX430 and wasn’t as happy with the UX410’s during the weeks I’ve spent with that one. The trackpads are a little different as well as far as I can tell, as the ones on the UX430s get a glass surface, while the ones on the UX410s are made out of plastic. The UX410s are available in most European countries, with prices starting at around 800 EUR for the Core i5 UX410UA configurations and going up to 1200 EUR for the top UX410UQ models, with a Core i7 CPU, 16 GB of RAM, 256 GB SSD + 1 TB HDD storage and Nvidia graphics. The UX3410s go for about the same in Germany. 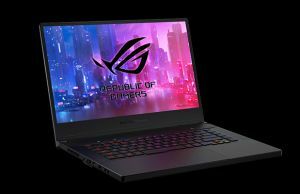 The UX430s are only available in some European countries and Canada for the time being, starting at around 900 EUR, with the high end configurations including the same Core i7-7500U CPU, 16 GB of RAM, Nvidia graphics and a 512 GB SSD, for roughly 1300 EUR. None of these lines are available in the US as of late June 2017 though, and I can’t tell when or even if Asus decides to bring them over there. 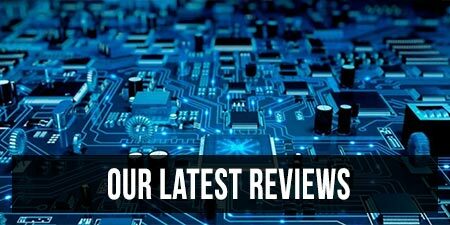 Read the appropriate sections in our dedicated reviews for updates on availability: UX430 and UX410. At the end of the day, the UX430s are more premium versions of the UX410 models, at least till the Zenbook UX490s are going to be released. Potential buyers going for an UX430 would sacrifice usability to some extent, as these offer less ports and upgrade options, but on the other hand are compact, thin and light laptops that don’t run into any issues with performance and temperatures, like some other thin ultraportables do. So while the UX410 and UX430 lines are mostly on par in terms of what they can deal with, the difference is made in whether you value the slimmer profile, more distinguished design and overall more friendly keyboard and trackpad of the UX430s, or the practicality and more affordable price tag of the UX410 and UX3410 lines. I have finally decided to get the Asus UX430UQ, after reading extensively all your related articles. Just wanted to ask you where in Europe can I find it. So far I've only seen it on Danish websites. I live in Ireland, btw. Thanks, for this and for the rest. Thanks Andrei. In fact, I would pay any kind of money for this ultrabook config: 13-14", nontouch, i5-i7 6th-7th gen, nvme SSD, geforce 970m, under 1.5 kg. Just can't find one. Maybe you know one that I missed. 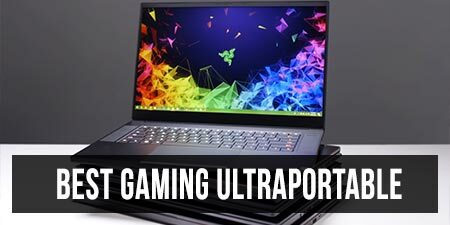 Check out the MSI GS43, Razer Blade 14 and Gigabyte Aero 14. Out of those 3 (feel free to sub 63VR for MSI), which has best noise characteristics? Unfortunately I can't tell for sure, because I personally only reviewed the GS43 and we don't have the tools to accurately and methodically measure fan noise. I suggest looking at the reviews on notebookcheck.net, they have more accurate data on noise. Translate this website into your preferable language to see how long it takes for shipping. Just called Asus US, they said the UX410 will definitely be released in the US, but there is no date currently. I assume the same is true of UX430 but we'll see. It's been 6 months since the product page was put up. Is it panel on UX410 identical to UX3410? Please, I really need this information because the UX3410 not available in my country. Hi. I live in The Netherlands (EU). Will the 430 availlable there and when? Can't tell for sure, you'd have to ask the Asus representatives there. I'd reckon it will, but I don't know when exactly. I contacted Asus Netherlands and 430 and 530 will come in april in Belgium, Netherlands and Luxemburg (Benelux). Rest of western EU will be the same. I am from Canada and I just purchased the UX430UA laptop. I read your article about Asus Zenbook UX410UA and your comment on hinge and flimsy lid makes me wonder if my choice of this model can withstand my expectations. I still do not want to go beyond 13-14 inch and neither do i want fancy touch screens or 360 flip models. My requirement is to get a portable, sturdy machine which can perform well (i use Autodesk Design Suite) and withstand my round the clock travel. I am looking for core i5, 512 gb storage and 8 gb ram to last my work for coming 3 years. Shall I still buy Zenbook UX410UA or would you suggest me to go for something else like Dell XPS 13 or Lenovo. Please help me arrive at a decision as my work at the UN is too important to be lost/interrupted. Thanks in advance! if you're always on the go and need a sturdy ultrabook then go for Lenovo X260 or X270. Im using the older model X240 but im still loving it, i simply love the form factor…. Are you sure the ux410 has a fingerprint scanner? Any new info on when the 430 will be released in the UK? I'm interested in the ux430uq! Since the ux410uq is not avaliable my only rival is the ux310uq. Same spec but different display. Which model would you suggest? The 430 seems more premium, but is it true when it comes down to real usage? Heat isn't an issue imo. Fan noise is, but if you'll loom through the comments there's a solution to manually control the fans and keep them quieter. Thank you for the review, I am looking to get the UX410UA this Friday. I hope the battery life will be better withouth didicate graphic. Where are you getting the UX410? I've been looking for it in North America. UX430 is available in Canada at BestBuy, but I could really use the extra HDD bay. Hello, I am in Cambodia and the model i get is ux410uak. I get it for 765$ with core i5, 8gb ram, 128ssd + 1tb hdd, Though it has no keyboard backlit (depend on model and region). The fan is not quiet but ony if you are in a very quiet environment and your ear is sensitive. The battery is good enough for me with power save mode and light use could get around 6 to 7 hour and left about 25%. This play look great i can play around display scale without restart laptop with window 10. I find it very buget half the price compare to macbook pro 13. I’m also waiting for ux410 release in North America but looks like asus is treating us as a 3rd class world now :(. As per review UX410 not only has 2.5 SATA but also a full aluminum body. I did have a chance to try ux430 in Canadian bestbuy and it looks crappy made of cheap plastic, no thank you. I’m also considering new envy 13 with nvdia mx150 (notebook version of 1030 which is ~30% faster + less W than 940mx) released recently in Asia and Europe … again not available in NA. I saw the notebookcheck/net review of this chip and looks like the benchmarks they provided are overoptimistic. Here is a real live owner of the notebook with mx150, he provides more realistic benchmarks in his comments. Just trying to justify the 200 Euro premium for the UX390. While it has about the same specs it's thinner but has a smaller display. Any thoughts on buying the 430 or the 390? I really like the thinness of the 390 but afraid the 12,5inch display might be too small. You should also consider the fact that the UX390 has a smaller battery, a shallower keyboard, less ports and runs hotter. It's nice if you absolutely want something that small and light, but otherwise the UX430 is much more practical imo. Wow! thanks for the reply, much appreciated, decided on getting the 430! It's also worth noting that the UX410 has a single-channel RAM (I don't see a second slot in the 8GB model you reviewed) and the UX430 has a dual-channel memory (at least in the 16GB model you reviewed). Can you confirm that? It's dual-channel in the UX410 as well as far as I remember, but I'm not 100% sure, I actually haven't checked this when I reviewed it. I checked the UX410 review and there's a HWiNFO64 screenshot that indicates it's a single-channel setup. Besides, the photos of the inside show that there's only one RAM slot. It's worth noting because laptops with the dual-channel mode and integrated graphics can be significantly faster. Hmmm, OK. But even if it's single channel you'll hardly see a difference in benchmarks or anything very demanding. As for everyday use, it makes not difference at all whether it's single or dual channel imo. Hi, how loud is the 430uq laptop? I need this laptop to be suitable for the classroom… so a dB reading or a example would be GREATLY appreciated. Thanks. Hi Andrei, thank you so much for doing this comparison. I have v little computer knowledge so it's very useful! I'm deciding between these. I want to keep this computer for a long time (I like to keep them as long as possible, and may not be able to afford another new one for many years! ), so would I right in thinking that actually getting the 410 would be better as it has the option to upgrade the RAM? Presumably that's something that can help elongate a computer's life when it's slowing down? I'd say yes, especially if you can't afford to get the UX430 configuration with 16 GB of RAM from the beginning. Thank you so much!! Super helpful! Hi again Andrei, sorry to ask another qn. I'm just having last min thoughts of whether I should go for a 15 inch model – this will be my work computer, which I'll be able to link up to a bigger monitor if needed about 40-50% of the time, the rest of the time I'll be using it as is..
What do you think about the 15 inch zenbooks in comparison to the UX410? In particular those which aren't toooo hugely more expensive, e.g. The 510 or 530. Do they have major pro's or cons in comparison? Is it possible to upgrade their RAM? And are they going to be much less portable or is there not much in it? Sry for the late reply. They're the same laptops, just with a bigger screen and perhaps more ports. They tend to run a little bit cooler thanks to the larger bodies (especially in demanding loads). I'd probably get the 14-inchers if you don't care for that bigger screen, which is the number one reason you'd consider these ones instead. I've been comparing the Kaby Lake versions of the 410, 430, 510 and 530 in Taiwan. Here it seems that the two 15-inch models have slightly beefier graphics cards (with the exception of the new UX430UN which has the strongest GPU with the MX150). While the 410UQ and 430UQ have the 940MX with 2G DDR3 Ram, the 510UX has "NVIDIA GeForce GTX 950M , with GDDR5, 2GB VRAM" and the UX530UQ has NVIDIA GeForce 940MX, with 2GB GDDR5 VRAM. The 510 has two fans, and I think the 530 does too (a little hard to find much info). So it seems, while very similar, both 15-inch versions have slightly boosted graphics and coolings systems. Perhaps they would also have slightly shorter battery life? I don't think there are two fans on the UX530, it should get the same internals as the UX430. As far as battery life goes, there should be no difference with everyday use that's not going to use the dedicated chip. These laptops have Optimus and only use the Nvidia chip when needed, otherwise default to the integrated Intel HD chip. You'll get shorter run-times with games though. OH, you were right then. I wasn't aware of this change on the 15 inch model, thanks. What do you need it for? Do you reckon you'd need more than 8 GB of RAM? From what I can tell the 410 is without Nvidia graphics? That makes it a good option for daily use, especially since you can upgrade the RAM later. the i5 is also good enough for daily use and multitasking. Not that good for gaming though, in which case I'd consider a configuration with some dedicated graphics. 410 hasn't dedicated graphics, but i don't mind. is it easy to remove back cover to add 960 evo ssd in 410? I found couple different version of ux430ua, maybe someone know what is the different between them: UX430UA-GV290T and 90NB0EC1-M03980. Do you have any links? I can't find the first one on google. As far as I can tell the GV092t comes with 8 GB of RAM and 128 GB SSD storage, while the other comes with 4 GB of RAM and 256 GB of storage. Given the RAM is not upgradeable on this laptop, but the SSD is, I absolutely wouldn't get the model with just 4 GB of RAM. Which one is more worth? I will b using it for college, some coding, light gaming. For heavy task, i will use my PC! Will be using this laptop for next 4-5 years. We reviewed both of them, you can find my impressions here on the site. I'd probably get the UX430 for the lower weight, nicer screen and bigger battery, but you should pick based on what matters to you. The charger that comes with the 410uq versions is heavier than the one that comes with the ua versions. I think it is the same size though. this is likely because of the internal graphics. I guess if you disable the internal graphics completely, you could just as well use the 45W charger instead of the somewhat heavier 65 w charger. over at notebookcheck, it seems the 45w charger is fine, but does come to its limits at times, even with the UA. note that both chargers are not particularly heavy though. Or is this related to charging the battery? I.e., this would mean that even with peripherals, e.g. the US would never reach a demand for 45watts, but it will still draw 45watts often because the remaining capacity (up to the supplied 45watts) is used to charge the battery. An article on this subject would be interesting. Hi Andrei, I own the ASUS UX330UA and have been very pleased with it for the last 2 years. I will be looking to replace it in the next few months and would like a similar asus but something below 3 lbs with a 13 -14" screen, and touch screen isn't required. Any thoughts? I'm not sure when they release new models or if there is a current model you would recommend. Thanks. The UX331 is their latest and most compact 13-inch with a clamshell form-factor and matte screen, and there's also the ux430 series with a 13-inch screen, but still compact frame (about the same size as the ux330). I'd look at these two if available in your region. 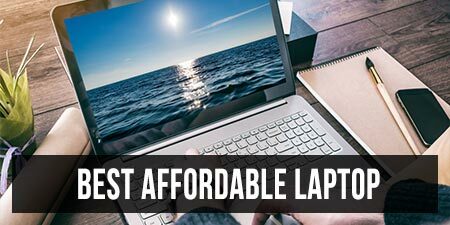 Asus always produce good laptops with reasonable prices, but they use many different parts and many are hard to get anywhere, that means you may need to return laptops to Asus if any problems.